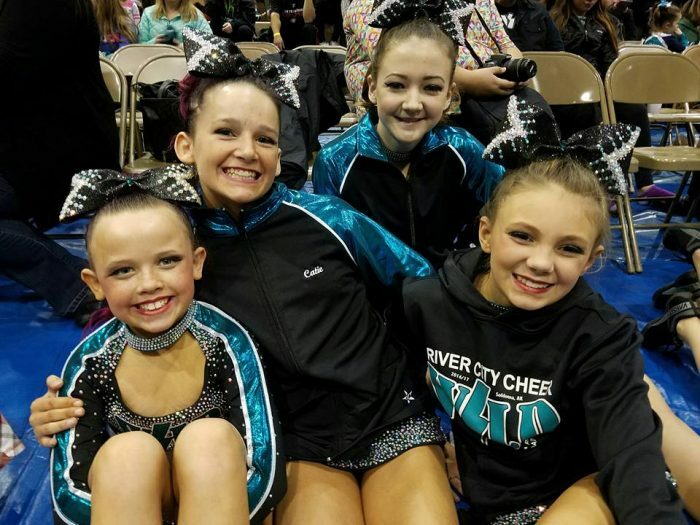 River City Cheer & Gymnastics was created in 2004. We’ve got a fantastic gym & programs! We believe that we offer the finest children’s programming and facilities on the Kenai Peninsula. Our training facility is open year round! We are a proud member of USA Gymnastics (USAG) and the United States All Star Federation (USASF). Our coaches are safety certified through USAG and are also credentialed through the USASF. Our primary job and pledge to you is to see that our mission to build responsible, confident and healthy kids in a safe, fun environment, grounds everything we do, without fail, day in, day out! We are extremely thankful to all the families and friends who have supported us and who have seen the value of our program and what it has done for their children. We now have years of proof to show the talent we have developed! Many of the athletes who have graduated from our gym have grown to be successful young adults & come back to visit us with years of good memories. Our gym has brought many families together & has kept many children active in a healthy & safe environment. We’re excited to meet you and welcome you into the RCCG family. Please call us at (907) 260-9990 if you’d like to schedule a tour of our facility and discuss which program is right for your child.